The conviction at the heart of the new BOSS BOTTLED campaign by BOSS Parfums has lead to its declaration that today’s men are the best they have ever been! Convinced that modern day masculinity plus renewed male traits such as chivalry and courage elicited this positive and provocative statement. With this in mind, the new BOSS BOTTLED campaign unravels new perspectives on masculinity. Men today are passionate and real; have grit yet refinement; are in touch with emotions, and driven while compassionate. The notion of success has also changed significantly; no longer does traditional, external success define today’s man; instead he creates his own, varied story of success. This redefinition of masculinity blends with the ideals of BOSS BOTTLED. It is the scent that complements the Man of Today and his path to success. Starting a new chapter in the history of the fragrance and celebrating its continued success, BOSS Parfums reveals Gerard Butler as the new face of BOSS BOTTLED. The Man of Today, personifying strength, chivalry, charm and the complexity of modern times, Gerard Butler perfectly mirrors modern masculinity and embodies the values of BOSS BOTTLED. Whether it is studying law, doing charity work, or his successful acting career, Gerard Butler grasps life with confidence, passion and an innate drive to succeed. Dynamic and timeless, the BOSS BOTTLED fragrance has been guiding men to success for over 15 years since its launch in 1998. A timeless classic, this subtle composition of extraordinary ingredients, which are still contemporary masculine notes today, and the addition of vanilla, traditionally an ingredient in female fragrances, was regarded as revolutionary at launch. 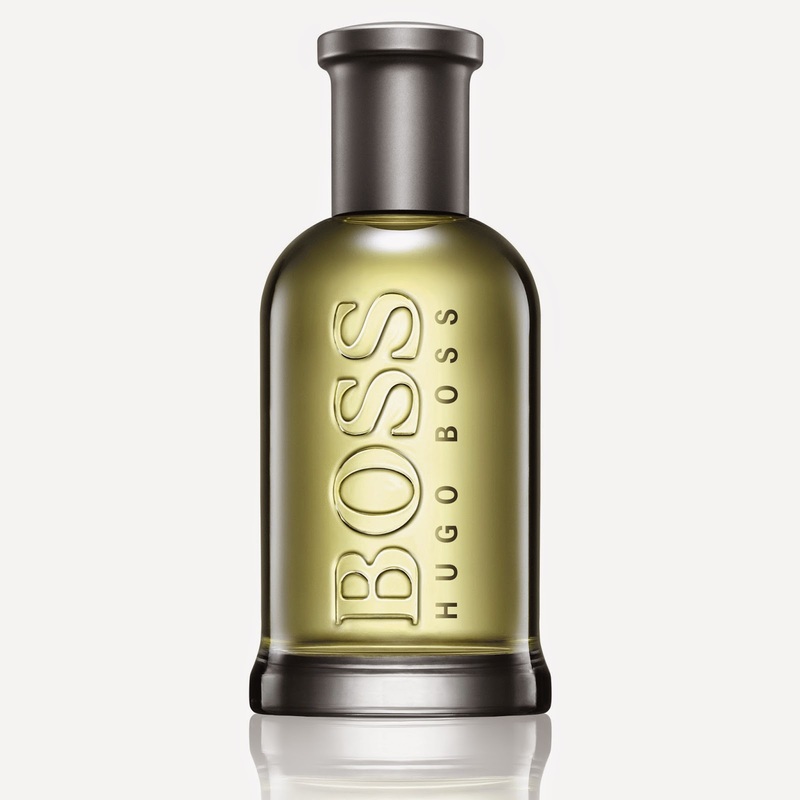 Sharp with a warm woody base, BOSS BOTTLED is unmistakably masculine with fruity and citrus top notes of apple, lemon and plum, with the added spice of cinnamon and clove. The contrast of the masculine spicy wood notes and the unconventional fruity vanilla notes intrigues, but never goes off balance. The clean, sleek design of the glass flacon represents the classic BOSS ideals of elegance and style; much like a striking suit. The captivating shape is the embodiment of sophisticated understatement and functional elegance. BOSS BOTTLED is a timeless classic, for men in the past and the Man of Today. Available at leading departmental stores and perfumeries from October 2014.